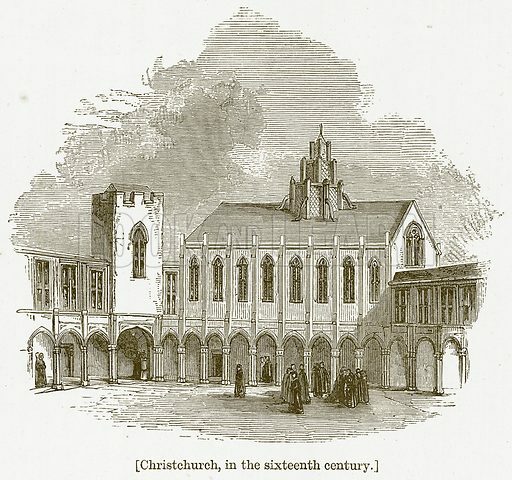 Christchurch, in the Sixteenth Century. Illustration for William Shakespeare A Biography by Charles Knight (Virtue, c 1880). Available worldwide for immediate download up to 4,135 x 3,869 pixels.